When we first met Dr. James Zhu, he had just returned to Beijing at midnight and had two teleconferences scheduled at 1:00 a.m and 4:00 a.m. Despite this, that morning he was still in high spirits. 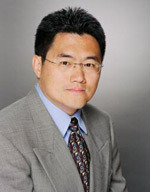 Dr. James Zhu is currently a law partner in Perkins Coie’s Los Angeles Office, and the managing partner of Perkins Coie’s Beijing Office. James graduated from Fudan University and then went to America for overseas study. After a total of seven academic years, James obtained a Ph.D. degree in molecular and cellular biology from California Institute of Technology and a J.D. /MBA dual degree from Columbia University. James is now a registered patent attorney at the US Patent & Trademark Office, and is a member of the State Bar of California, the American Intellectual Property Law Association, and the Licensing Executive Society. James also sits on the Boards of the Chinese Biological Investigator Society (Wu-Ray Society, 2005-2007) and is the Chairman of BayHelix Group now. He has been actively involved with the Biotechnology Industry Organization (BIO) where he serves as a delegation committee member and promotes the presence of the Chinese delegation and pavilion in BIO. In 2008, he was selected as one of the “Most Influential ‘Sea Turtles’” (Chinese repatriates) in the life sciences industry of China and America by Business Week. In 1986, James graduated from Fudan University, where he majored in biology. At that time in China, there was little information about overseas studies, but with great endeavor he entered California Institute of Technology in 1988 where he studied molecular and cellular biology. When he chose his majors at both Fudan University and California Institute of Technology, he had only one goal: to become a scientist and win a Nobel Prize. Many top Chinese scientists had previously graduated from California Institute of Technology, such as Qian Xuesen, Zhou Peiyuan, and Tan Jiazhen. So James dreamed of studying at this top university to become a top scientist who would be talented enough to contribute to China. Before going to California Institute of Technology, James stood in awe of the professors and masters there. His tutor was Elias Lazarides who tutored by James Watson, a giant in biology field. However, in the classroom, some professors often sat with students eating pizza, and drinking beer together while discussing the course subject matter. This kind of teaching method made James’ mysterious feeling toward these masters disappear and his thirst for becoming a scientist weakened. He said: “Sometimes, people are eager to catch mysterious things.” Maybe that’s the reason why he always explores new fields of study. In 1991, when James’ tutor decided to work at Merck & Co, a pharmaceutical giant, he decided to go there together with his tutor. During this time, he worked during the day at Merck, and then worked at night to complete his dissertation until 1993, when he finally obtained his Ph.D. degree. At that time, there were few Chinese working at Merck & Co and James became one of the earliest Chinese researchers in Merck. At Merck, a researcher could live an easy life with a higher salary, which was considered the “American Dream” pursued by many overseas students. When talking about this period of his life, James said: “I could predict my future life and I could even see my aged years. It made me unhappy.” The easy life made him feel as if he lacked a challenge and he started to doubt his choice of biology as a career focus. In America, a senior middle school student or a college student always knew his interests clearly. However, at that time in China, when students chose their majors, they preferred to follow the science-oriented policies advocated by the government and believed that science would help to develop China in all aspects. Therefore, many overseas students studied science out of a sense of duty, while some students could not be sure of their own personal interests. James found himself in the same situation and, once in America, wanted to find a more challenging field of interest to him personally. James noticed that the top students in America always chose to study medicine or law. But medicine would be too natural a choice and unchallenging to a biology major student; law, by contrast, would mean to start from scratch. So he chose this more challenging subject. Also, an incident at Merck prompted him to choose legal studies. James and his colleagues discovered a substance that had a similar function to paclitaxel, by inhibiting cancer cell growth by interfering with the normal microtubule breakdown during cell division. They asked Merck’s IPR department to file for a patent, but the patent lawyer told them the patent of this substance had been given to another company for anti-fungus use. Although their discovery was for a new use, they were told they would stand no chance to get a patent. It confused James. He thought they were two totally different things in the eyes of medicine. This incident reaffirmed James’ decision to plunge into the study of IPR and law. In 1994, James applied for the J.D. study at Columbia. While most Chinese students would struggle to complete their basic studies, he had planned his move to a new field. There were not too many people who would switch careers from one field to a completely different field, let alone from natural science to law like James. In his law school application, James discussed the importance of IPR based on his own experience. Encouraged by his tutor, he realized that people with an inter-disciplinary background would be in demand in the future, so he also applied for an MBA degree at Columbia University. In 1995, James left Merck and began to study for his law and MBA degrees at Columbia University. Many students chose to take part-time jobs to lessen the economic pressure of university tuition. However, few students at top universities such as Columbia did so because of the heavy pressure to study and universities’ prohibition. James had to live on a student loan from the bank, over USD 250,000 if he wanted to study in Columbia University. Today, looking back, he feels that decision was a risky one to make, but he was so young at that time that he did not realize the risks. Law and MBA were no doubt great challenges to James. He had been studying natural science in both China and America and had never studied liberal arts subjects before, so switching to law and business was really difficult. To make up for his lack of humanistic knowledge, he studied for more than 10 hours everyday. It was common for him to go to sleep after midnight and get up before daybreak. Even so, he didn’t hesitate to leave Merck’s easy life. He obtained the most valuable treasure from this experience: how to learn as much as he can in the shortest period of time. He said if he was given a pile of materials 1 meter high that had nothing to do with his profession, he could almost become an quasi-expert in that field within 3 days. Because he was learning how to learn during that period, it taught him to never fear new things in the future. James said: “In America, universities such as Columbia are not only teaching people what law is, but also teaching people what law should be.” His studies at Columbia University, especially philosophy and economics, had a big influence on his values. His study increased his knowledge of western philosophy, from Hellenistic art to the Renaissance, from Plato to Aristotle, and from Montesquieu’s The Spirit of the Laws to Rousseau’s view of equality. He gradually understood the theories behind American Law. But in his studies, at Columbia University, he discovered he had an interest in venture capital. Venture capital professionals generally had an inter-disciplinary education background, because venture capital was an integrated practice of finance, investment, law, and management. In 1998, he applied to several venture capital firms to work as a student intern. At that time, American venture capital firms rarely employed student interns, let alone foreign students without a financial background. He sent over 1,000 letters to several venture capital firms in one year and kept adjusting his strategy based on different situations. Finally, a venture capital firm was attracted to him based on his persistence and employed him as a student intern. In that company, he had several chances to attend board meetings and speak with various CEOs, which led him to become more and more broad-minded. Gradually, he realized that experience was the most important asset in the venture capital business and that it would be better if he started his new career by running a company supported by a venture capital firm. At the same time, successful venture capitalists encouraged him to run a company by himself. In 1998, when his friend wanted to start a business in America based on biological technology he accepted his friend’s invitation and became a partner of his friend’s new company. He began to raise venture capital in the Silicon Valley. However, it was not easy to attract venture capital. Many people submitted their plans to venture capital firms to start a new enterprise, but few people could get the chance to make a presentation before the venture capitalists themselves. Based on his student intern experience at a venture capital firm, law and business education background, finally, one firm decided to invest USD 17 million in the new company founded by James and his friend, to be paid in two payments. Furthermore, their new company attracted some individual investors, including GlaxoSmithKline’s Chairman and Pfizer Pharmaceuticals Ltd’s Global Production President’s investment. James treasured this opportunity very much and became a bi-coastal jet setter who studied in New York from Monday to Wednesday and then flew to California immediately thereafter. Sometimes he even had to finish his assignments on the plane. When the venture capital was ready, James spearheaded the new company’s legal and business development activities and realized his own interests more clearly. However, the new company didn’t work very well. The venture capital firm gradually lost confidence in the management of James’ company. The lack of communication resulted in the venture capital firm stopping the follow-up capital payment. Nevertheless, James still insisted on starting another new enterprise. In 2000, he and one of his schoolmates from California Institute of Technology started an internet company- China United On-line, a B2B internet platform. James was both the President and CEO. He wanted to initiate several projects including Enterprise Resource System, Customer Relationship Management, SMS, and online lotteries, which were indeed innovative ideas at that time. Because he persisted in developing this company into a listed company, he kept enlarging the company with over 400 employees and dozens of subsidiaries in China. The capital commitment was used up in a short time. After that, he tried to raise additional capital, but the Internet industry in China was declining quickly and he had no opportunities to do so. In the middle of 2001, he closed up this internet company. When he thought back over this company, he felt that he had not run this company with the primary goal of making a profit, but was instead only focused on developing it into a listed company. Although his ideas were advanced, without experience, those ideas could not be put into effect. For James, everything in his life had gone so smoothly before the failure of these two companies, so it was hard for him to accept these setbacks. Although he still had other chances in China, including an offer from another internet company which had invited him to become their CEO, he decided instead to return to America and to think over his failures calmly. After this period of reflection to identify his advantages, James decided to return to his original purpose for studying law: integrating biology and law and contributing to IPR. However, when he returned to America, the economy was in a recession and law firms were firing employees. He had almost no chance to find a job. It put him in an awkward position. He still had an outstanding student loan of USD 250,000 and was forced to live on a credit card for half a year. With the help of a head-hunter, he finally got an opportunity to have a job interview with an IPR firm LYON & LYON. However, when the interviewers learned of his experience, they had doubts about his work stability. James talked with the interviewers sincerely about his experience and down-to-earth attitude. In addition to his educational background, this firm finally decided to give him a chance. At the beginning of 2002, James became an associate at this firm. Once again, he had to start from zero. During this period, many law firms attached more importance to IPR and a group of the firm James worked in merged with Perkins Coie LLP. In the early years, James continued to offer lectures and published articles. At the end of 2006, James became a partner at Perkins Coie LLP. It took him 5 years to become a partner at that law firm, a feat which would normally take others 8-9 years. James believed that IPR in China would be very promising. Therefore, he returned to Shanghai in 2006 and established Perkins Coie’s office in the Zhangjiang Hi-Tech Park. He and his partners believed that the IPR protection consciousness of the people in Shanghai, Jiangsu, and Zhejiang was better, but that they needed more IPR protection methods. In 2007, as he discovered that new policies could influence IPR protection a great deal, he decided to re-establish an office in Beijing, located in the Shangdi district. As he just wanted to do things in a down-to-earth manner, he didn’t establish the two offices in Beijing and Shanghai’s central business district. He also chose his employees in a strict way by requiring dual languages, residency in at least two countries, and combined degrees. Although there are 1.3 billion people in China, seldom is there anyone who can reach this standard. Nevertheless, he would rather choose to wait for someone suitable. When discussing his goals and the development direction of Perkins Coie, James said: “Our business in China is a long-term investment. The IPR business in China is increasing gradually, including IPR application and lawsuit, both by foreign companies in China and native Chinese companies. We hope to protect more independent innovative companies, if not, the value of our protection will not be obvious. In China, many machinery and computer companies are able to go overseas for business and have developed faster than the biological industry. When more businesses have chances to develop in the overseas market, then more global IPR protection will be needed.” This superior consciousness makes him a front-runner in IPR protection. However, despite his superior insight, many Chinese companies could not accept his ideas, which led to several obstacles when he tried to develop the Chinese market. In his lectures and suggestions to some Chinese companies, he emphasized that companies should have their own IPR department or cooperate with professional IPR law firms. He said: “This concept is somewhat abstract, but when companies encounter IPR problems, the function of an IPR department or IPR law firms will be obvious. For instance, if patents are infringed or trade secrets are misappropriated, the IPR department would have done some protection work in advance. The likelihood of winning the case will be improved. The most important work is preparing fully when you apply for the patent right in order to avoid problems caused by different application procedures and rules in different counties. For example, the applicant-inventors of patents are different in America and China. In America only one inventor is permitted, otherwise the patent will be found to be invalid. However, in China, if applicant-inventors are not familiar with this rule, their patent will easily determined invalid when enters American market. So when you protect IPR, we’d better infer what we should from every possible result. Besides, many customers who have IPR protection demands are hard for us to find when many companies have no way to find a suitable IPR firm and some IPR firms cannot find such companies. Therefore, it will take a long time to improve the IPR market in China.” To James, this process is no doubt another new challenge.